Below you fill find all funeral homes and cemeteries in or near Vineyard Haven. Suburbs of Vineyard Haven: Tisbury, Vineyard Hvn, North Tisbury, West Tisbury. 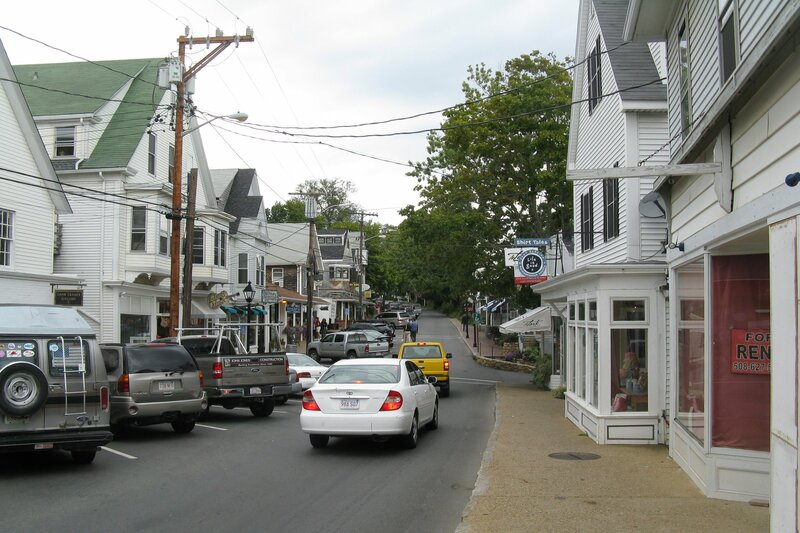 Vineyard Haven is also known as: Dukes County / Vineyard Haven CDP. Zip codes in the city: 02568, 02573. Dukes County funeral flowers can be purchased from one of the local funeral shops we partner with. Some of the notable people born here have been: (bayes norton). Vineyard Haven is a community within the town of Tisbury on Martha's Vineyard in Dukes County, Massachusetts, United States. It is listed as a census-designated place (CDP) by the U.S. Census Bureau, with a population of 2,048 as of the 2000 census.Known by the original Wampanoag inhabitants as Nobnocket, this area was first referred to by the colonial settlers as Homes Hole; "Homes" from a Wampanoag term for "old man," and "Hole" meaning a sheltered inlet. By the 19th century it was more commonly spelled Holmes Hole after the descendants of John Holmes (1730–1812) who had settled in the village during the second half of the 18th century. In 1871 the village officially changed its name to Vineyard Haven. Though the name Vineyard Haven technically refers only to one section of the town of Tisbury, the names are used interchangeably, with Vineyard Haven now being a commonly used title for the whole town.Vineyard Haven is the main port of entry to Martha's Vineyard, and one of the three main population centers (with Edgartown and Oak Bluffs). The Steamship Authority wharf is located in Vineyard Haven, at which ferries arrive and depart year-round. (A second, seasonal wharf is located in neighboring Oak Bluffs.) Although the year-round population is only about 2,000 people, its population increases tremendously in the summer, as many houses on the Vineyard are owned by summer residents. It was written on February 16th, 2016 that Patsyann Gentsch (Maitland) died in Vineyard Haven, Massachusetts. Ms. Gentsch was 76 years old and was born in Grand Junction, CO. Send flowers to share your condolences and honor Patsyann's life. It was disclosed on May 15th, 2011 that Batbara Miss Barstow passed on in Vineyard Haven, Massachusetts. Barstow was 93 years old. Send flowers to express your sympathy and honor Batbara Miss's life. It was reported by Salem Evening News on January 27th, 2011 that Madeleine Elizabeth Bacheller perished in Vineyard Haven, Massachusetts. Bacheller was 94 years old. Send flowers to share your condolences and honor Madeleine Elizabeth's life. It was reported by MIddlesex News on November 29th, 1996 that Gladys E Caron perished in Vineyard Haven, Massachusetts. Caron was 88 years old. Send flowers to express your sympathy and honor Gladys E's life. The population was 2,048 at the United States Census, 2000 census. Vineyard Haven is a census-designated place (CDP) in the town of Tisbury, Massachusetts on Martha's Vineyard in Dukes County, Massachusetts County, Massachusetts, United States. . . . Here are the results for funeral homes in Vineyard Haven Massachusetts. You can find some of the best funeral homes businesses serving Vineyard Haven. Listing all funeral homes in Vineyard Haven, Massachusetts so you can easily send flowers to any location (same day delivery) or find any funeral service. Find funeral homes in Vineyard Haven, MA using the funeral homes directory. Search for Vineyard Haven funeral homes at Caring.com. Listing all cemeteries in Vineyard Haven, Massachusetts so you can easily send flowers to any location (same day delivery) or find any funeral service. We work with local florists and flower shops to offer same day delivery. You will find budget sympathy flowers in Vineyard Haven here. Our funeral flowers are cheap in price but not in value.